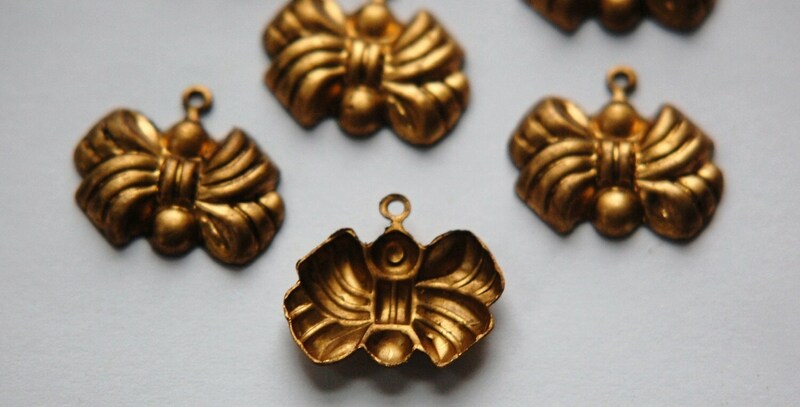 These are raw brass charms. 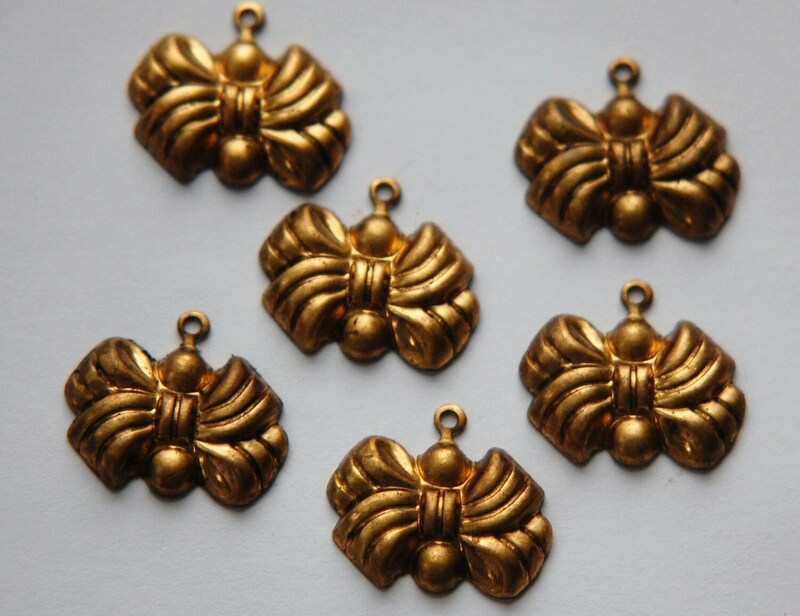 They are a puffy bow shape with a loop at the top. These have a concave back. They measure 19mm wide X 17mm high with loop. You will receive 6 pieces.